A note from the editors: We’re pleased to share an excerpt from Chapter 1 of Josh Clark's new book, Designing for Touch , available now from A Book Apart. Samsung’s 7″ Galaxy W and similar jumbo devices blur the line between phone and tablet. Photograph courtesy Samsung. 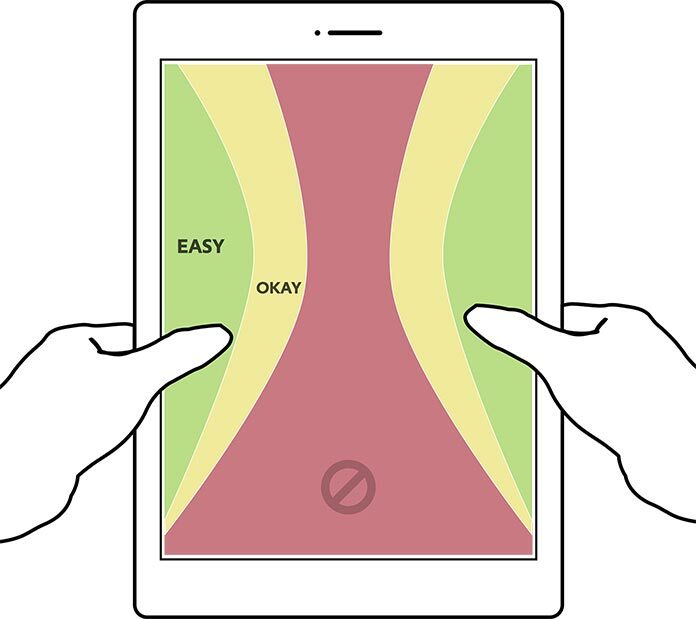 With so much thumb use, the thumb zone is as important for 4″–7″ screens as for smaller ones—with a caveat. 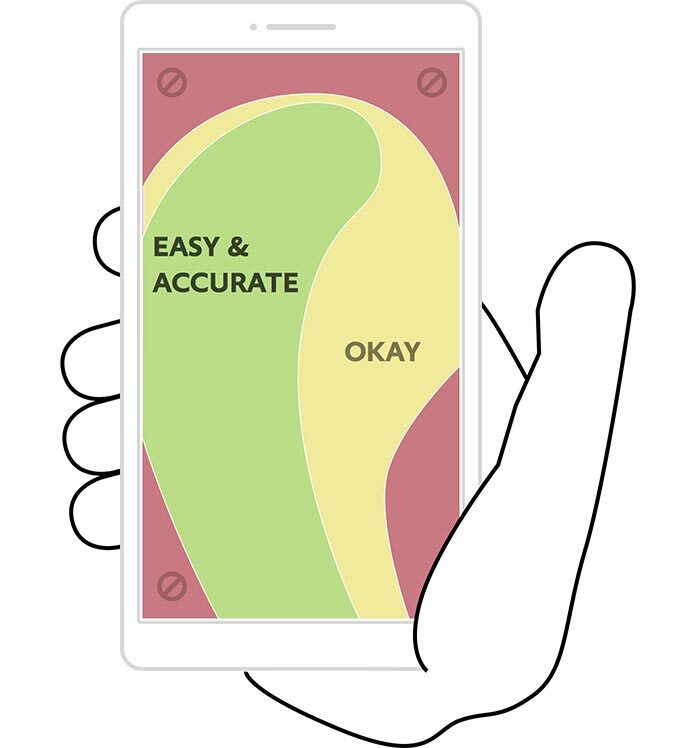 Phablet folk use two thumbs more often, which creates a pair of mirrored, overlapping thumb zones at the screen’s bottom, with a swath of tough-to-reach space at the top. Despite its popularity, the double-thumb zone isn’t the one to optimize. 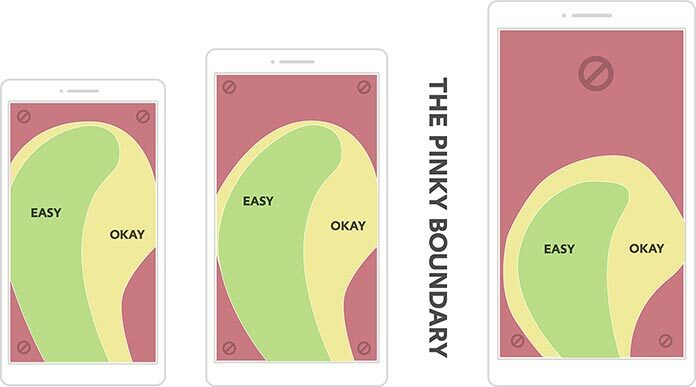 Although we hold phablets with one hand only 25% of the time, the single-thumb grip takes on disproportionate importance for designers, because it has the least range. As screens get bigger, they also get heavier, and we often lay them down altogether. Hoober and Shank observed that people put large tablets down in nearly two out of three sessions. We rest them flat on a surface (whether table or lap) 40% of the time and upright in a stand 22%. (Smaller 7″–8″ tablets are far easier to handle, and 69% of small-tablet use is handheld.) Those surface and stand positions suggest we use large tablets more like traditional monitor screens—or, closer to keyboard-touchscreen hybrids, which we’ll get to in a moment—than handheld devices. Josh Clark is the founder of Big Medium, a design agency specializing in connected devices, mobile experiences, and responsive web design for the world’s most forward-thinking companies. Josh is author of several books, including Designing for Touch and Tapworthy: Designing Great iPhone Apps, and he speaks around the globe on what’s next for digital interfaces. In 1996, Josh created an entirely different kind of user interface: the Couch-to-5K (C25K) running schedule, which has helped millions of skeptical exercisers take up jogging. (His motto is the same for fitness as it is for software user experience: no pain, no pain.) Find out more about Josh at Big Medium or follow him at @bigmediumjosh. But this left-versus-right distinction isn’t especially crucial, since most of us switch hands easily (and frequently) depending on context. It’s okay. We Lefties have gotten this our whole lives. We are essentially forced into ambidexterity which is a good thing. Great article. @Daniel, you’ve got a jump on the rest of us! 😀 Turns out mobile is making all of us ambidextrous now… our brains and bodies, adapting to the technology. My left hand pinkie has a dent in it from the way I hold my iPhone. I usually keep it under the bottom of the phone to stabilize it and make sure it doesn’t drop when I hold it. Is there a name for this? Daniel (and Josh) there’s even more data embedded in all the many research studies. One weird one I’ve found is preference for which hand is used does not track to the rates of handedness in the population. Way more left hand use than makes sense by any theory I cannot come up with. So totally account for both sides, and all ways of holding because people switch and even low rate methods of holding are used by a lot of people. Two thumbs up–one for each of you, Josh & Steven. My language has changed owing to my fingers.I will soon need typing class to learn how my thumbs join in the fun of texting.I marvel at young fingers and their alacrity. Fact is that devices are tested by those with perfect vision and fingers that never have climbed mountains, boxed or played sports. @Emile Over on Twitter, @criscook suggests “pinky shelf.” Ta da! @Nabil: Thanks for sharing your research. Great to see that it’s broadly in line with Steven’s findings, and the extra slices of age and context are super-interesting. Thanks! Good stuff, Josh. As we approach responsive design for a spectrum of devices, the input variations in each of those gradations is very useful to keep in mind. Physical contexts, particularity for professionals, also poses interesting challenges. Nice Article! Last week I made this tool to check the hot zone with your own screens. Maybe next step is include tablets devices for research. Take a look and leave me your comments! 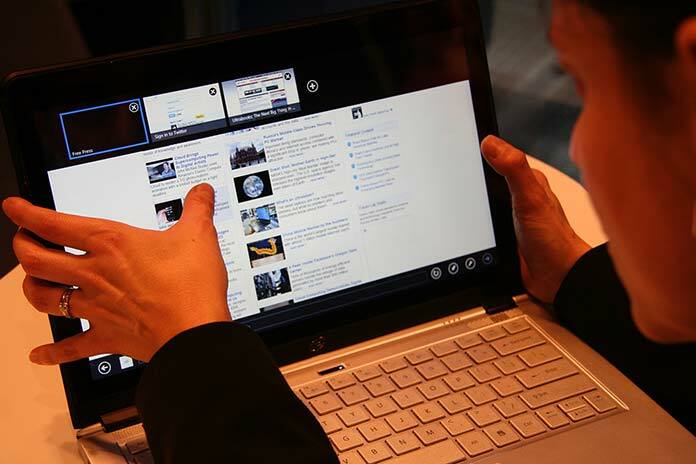 It would be interesting to test the hybrid device usage on users that had not used a smaller touchscreen device yet. Are the hybrid device users primed to use their thumbs only because of conditioning from smaller touchscreens? Great article, Josh! Thank you! However, to be the nitpick guy, the title is a bit misleading (while the book it’s excerpted from is not). To be more specific, this should be titled “How We Hold Phones/Tablets/Laptops.” Having worked across a wide range of hardware, screen-gadgets are but one of a myriad of devices that require ergonomic consideration when designing UX. @Antonela: Way to go, love it! 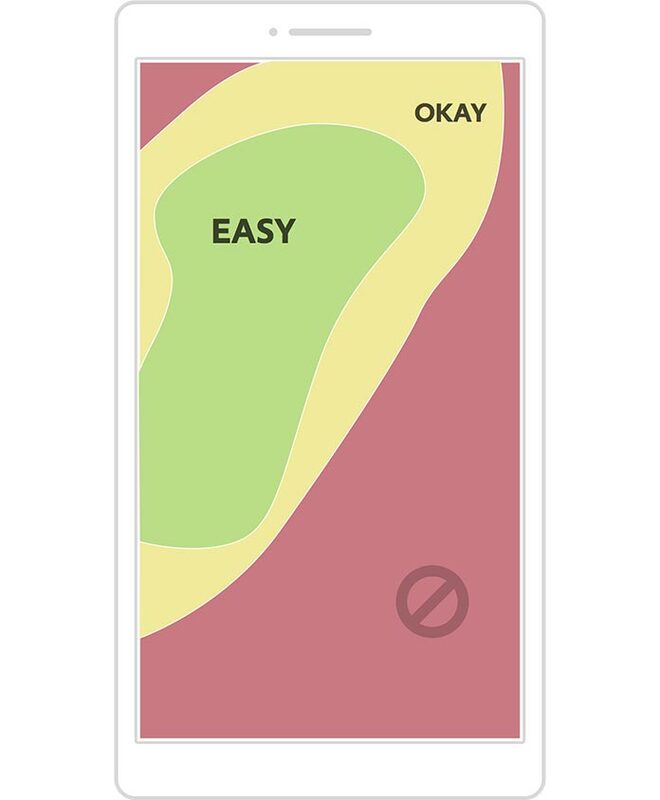 Would be terrific to see if for other brands/sizes, but your thumbzone app is already a great little visualizer. Thanks for sharing it. @Nyckie: My hypothesis (and it would be great to test) is that our thumb use has more to do with their importance in gripping things—and how thumbs naturally sit on top of objects we grip—than it does with past gadget experience. But you’re right that it would be great to get a detailed study on that. The study that @Nabil mentioned above suggests that age/experience don’t affect grip, but that’s more of a directional hint. Interesting! @Cory: So right! This is definitely about touchscreen grips, and that varies according to other gadgets, screenless and otherwise. What kind of stuff are you working on? This stuff fascinates me. Thank you. Well written and a great piece that I wish the device designers would pay attention to. I also now have researched proof of why I HATE Googles’ Material Design UI…not the look, but the placement of major UI components. Critical UI functions like “Menus” and key actions are all completely outside the “zone” for most users, all being on the top action bar, and top left corner. I am fiercely loyal to the apps that have chosen to keep their design in opposition to Android’s guidelines and easier to navigate. Thanks for that, @Gary. Those top-of-screen Android controls are indeed out of easy reach, especially as phones get ever larger. My book Designing for Touch goes into some ways that you can mitigate those thumb-stretching conventions (gestures at screen bottom to supplement those top-of-screen controls, Android’s action button that floats at bottom right, and several other techniques). But yes as screens get bigger, we have to be creative about letting people take fast action from the bottom of the screen. Do you know of any research on how users interact with vehicle mounted devices, especially while the vehicle is in motion? I’m currently working a navigation product for mobile devices. Our research shows that the majority of our users will use tablet sized devices attached to dashboard mounts. 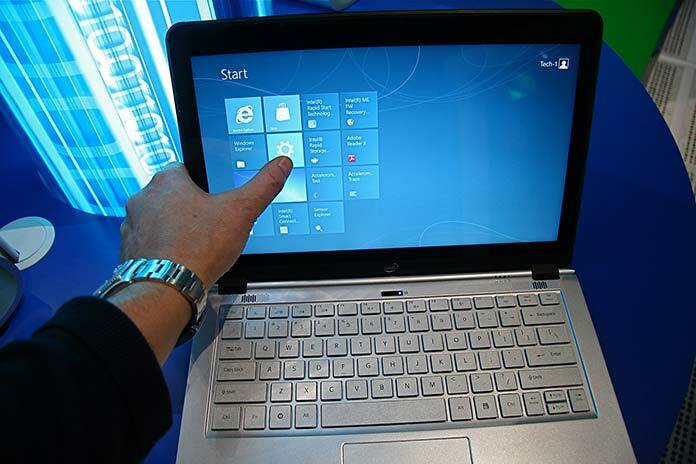 My guess is that users will adopt a similar grip to a hybrid laptop, but with just one hand. Hooking the fingers behind the device to stabilise the grip, and then using the thumb to point. This would also help mitigate the effect of motion and vibration while the vehicle is moving, but with a very limited hot zone for high precision pointing. @Sam, I haven’t seen or participated in any research on that, but your hypothesis sounds like a reasonable guess. Do let us know what you discover! I will say one thing, though: except for *very* coarse gestures (slapping at the whole screen), touch requires eyeball attention to operate, unlike dials and knobs. Touchscreens in cars are becoming widespread but are often used in ill-advised ways that require the driver to look away from the road too often and for too long. Be careful/mindful of driver attention and favor non-visual UI (speech is a good one) wherever possible. Good luck! Really interesting analysis….Myself being a leftie, enjoyed reading it!! If I hold my phone in one hand and drive with my thumb, the phone is unwieldy and I risk dropping it. So I use two hands instead, which allows me to access all corners of the screen more easily. You might want to revisit the problem, considering that today’s phones are bigger than they were two years ago, when Hoober published his study. Thanks for sharing the news with us. I agree with the percentage you mentioned. Keep up the good work. It should be recognized that large touch sensitive screens also created some new problems. The main issue of typing over a touch sensitive screen, e.i., you cannot rest your thumbs on it. You can do it with a Blackberry phone equipped with a physical keyboard. But adding a simple device at the back of your cell phone or case will allow you to hold the cell phone in the same way you used to do with a Blackberry. I have patented a device (US 9,344,135 B2) to help resolve these issues. Check out this web site if you would like more information http://www.butterflyTx.com. Right now we have done limited testing but it improved considerably the level of conform for typing and you can type in any position. I also think there may some other applications, for instance helping people with some level of motor skill difficulties. Eventually people with some level of visual issues may also benefit from this device because it forces the user to hold the cell phone in the same and consistent way, and therefore making it easier to operate.